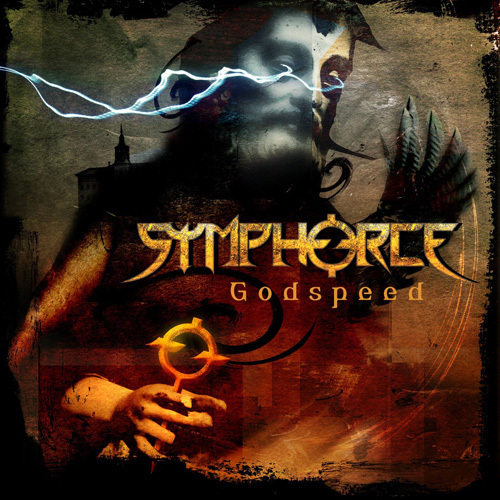 Both symphonic and forceful, Symphorce is a German power metal quintet with double guitar, bass, drums, and a singer. Their compositions follow a fairly typical verse-chorus structure, and stay squarely in 4/4 time, which are usually two good ways to differentiate groups like this and Royal Hunt from more sophisticated progressive metal groups. I’ve also noticed a lot of power metal groups take pain to tell you which of the multiple guitarists is soloing at which time; I’m not going anywhere with that observation, it just fills space. Although you really have to wonder how much space ought to be used on music that reminds me of later Ozzy with lesser musicians. Far from innovative, power metal like this has taken metal as close to commercial radio as it can get, with almost bubblegum devotion to conventional structures and the requisite substitution of angst for reflection. Nobody in this band is poor; Andy Franck has a strong voice, the rhythm section is capable, and the guitar solos shred. It’s just so formulaic that I can’t think most Exposé readers will get into it.